Codeine is an opioid pain medication that is used to manage relatively severe pain and, in some cases, as a cough suppressant. Like other opioids, codeine has a potential for abuse and addiction due to the euphoric effects some users experience. Long-term abuse and addiction can lead to effects on the user’s health, relationships, finances, and even employment. Who Answers? to learn more about treatment centers in your area. Becoming physically and mentally stable: Many people who abuse codeine develop physical dependence, which may lead to a withdrawal syndrome. The cycle of experiencing withdrawal symptoms – taking more codeine to avoid withdrawal, experiencing withdrawal symptoms later, taking more codeine, etc. – is physically and emotionally draining. Once a person has successfully quit using codeine and gone through the detox process, this cycle is effectively broken, allowing them to fully focus on recovery. In addition, the mental distress of codeine abuse is significantly reduced. Re-establishing emotional connections and mental functioning: A person’s attention, memory, and problem-solving abilities are all significantly affected by a codeine use disorder. In addition, the person’s ability to genuinely feel for others, recognize his or her own feelings, give up selfish motives, and become a genuine person are compromised. These abilities begin to return once one quits using codeine and begins a recovery program. Rebuilding personal relationships: A person with a codeine use disorder will spend a great deal of time obtaining, using, and recovering from codeine’s effects. This forces other people out of the person’s life. The major relationship is with the codeine, not family and friends. Quitting codeine allows one to re-establish meaningful relationships with people who matter. Improved performance at school and at work: A codeine use disorder hinders a person’s performance at school, work, and in other important areas of his or her life. Quitting codeine allows the person to focus on achieving goals in these areas. [liManage everyday affairs again: Having a codeine use disorder means spending a good deal of time – if not nearly all of one’s time – procuring, using, and recovering from codeine. Other activities become secondary. Stopping codeine use allows a person to get back to dealing with meaningful issues. Improved health: Engaging in codeine abuse is not healthy. Long-term effects can include malnutrition, gastrointestinal problems, and possibly HIV or hepatitis if the person is injecting the drug. In addition, long-term use increases the risk of overdose and death. People who quit codeine reduce or eliminate their risk of these problems. Improved finances: Substance use disorders also drain one’s finances. Dealing with a substance use disorder will eventually lead to more stable finances. Taking back control: People with substance use disorders are under the illusion that they are in control. In actuality, the dysfunctional behavior associated with substance abuse takes over and the person loses control. Addressing a codeine use disorder will allow the person to regain control over his or her life and the ability to make rational choices. Trying to address an addiction without professional help or support is extremely difficult. Most of the time, people do not understand why they actually became addicted – and this lack of insight can lead to relapse. Address the underlying issues that drove one to abuse codeine. Help the person begin recovery by providing education, support, and active treatment interventions. Inpatient treatment is typically time-limited and can help users negotiate the withdrawal process, which can be very uncomfortable without medical supervision. Programs can last from28 to 30 days to 60 days to 90 days and include individual and group therapy, addiction education groups, and other activities such as recreation and movies. Outpatient treatment is a stable part of most recovery programs, even if the person initially participates in an inpatient treatment program. Outpatient treatment allows the person to attend treatment and then go back to his or her daily life. Participants can benefit from treatment, fulfill their personal and professional responsibilities, and also immediately apply aspects learned in treatment to the real world. Individual counseling/therapy involves working one-on-one with a therapist. This situation fosters a strong relationship between the therapist and the user, allowing for both to focus specifically on the issues that the particular user has and instilling confidence and support in him or her. Group counseling/therapy involves attending therapy sessions consisting of people with similar problems. At least one professional therapist leads the group. 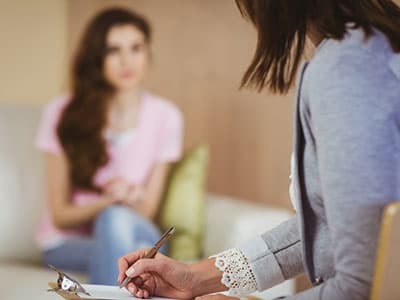 While group therapy does not provide the targeted intervention that individual therapy does, it does allow the person to learn from others who may be more advanced in recovery, share experiences with others, and may give the person a sense that he or she is not the only one with this particular issue. 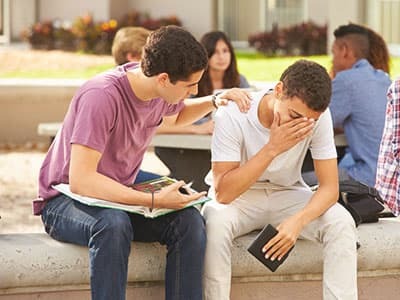 Additionally, group therapy allows the person to develop a social support network with other individuals who have the same or similar issues. Twelve-step programs are social support groups run by people who have dealt with a particular substance use disorder for some period of time. Like group therapy, people are allowed to share with one another, learn from one another, and participate in a structured program outlined in the 12-step doctrine. Inpatient therapy and outpatient therapy are typically time-limited. Some of these programs may run for months. But they end at some point. A person recovering from codeine abuse or any substance use disorder should engage in an aftercare program that keeps him or her on the track of sober living. Recovery is a long-term process and, in many cases, it is a lifelong process. People in recovery can continue to participate in 12-step groups, such as Narcotics Anonymous, as these run indefinitely. Many members attend these group meetings for decades in addition to longer-term group or individual counseling and other support groups for any other issues that they have. Some people also choose to stay at a sober living home after they leave a treatment program. These programs offer a drug-free environment and a safe place to practice relapse prevention skills, search for a job, or find stable housing. Do You Want to Quit Codeine? Who Answers? to speak to a recovery support specialist about codeine detox or addiction treatment programs near you. Codeine has a very short half-life of about 3 hours. The half-life of the drug refers to the period of time that it takes the concentration of the drug in one’s system to be reduced by half. Because of codeine’s short half-life, users may experience withdrawal symptoms relatively quickly. First 12 hours. Withdrawal symptoms will begin within 12 hours after the last dose of codeine was taken, though heavy users may experience feelings of irritability and mild flu-like symptoms even sooner. 1-2 days.The symptoms will peak within the first day or two following discontinuation. This is when relapse potential is at its greatest. Users will typically feel achy. Other symptoms include cravings, muscle spasms, sweating, nausea, diarrhea, appetite loss, insomnia, headaches, depression, and anxiety. Some people may experience a runny nose and pinpoint pupils. In rare cases, people may have hallucinations. 3-5 days. Between the third and fifth day, the symptoms will begin to dissipate. But users will probably still have issues with anxiety, queasiness, diarrhea, minor headaches, and irritability, and they may begin experiencing more depressive symptoms. Cravings will continue, but will not be as intense. 6 days and beyond. Most individuals will resume normal functioning at around the sixth day following discontinuation. They may still have some mild aches and pains, headache, queasiness, and anxiety. It may be difficult to eat, but people should be eating regularly by this time and attempting to exercise. Some people may continue to have issues with motivation, irritability, anxiety, apathy, and depression after withdrawal. They may have intermittent cravings and can be triggered by events in the environment that cause stress or remind them of using codeine. A medically supervised detox program can minimize the discomfort of codeine withdrawal. A doctor or another healthcare provider can provide medications that can reduce withdrawal symptoms, lessen cravings, and allow the person to get used to living without codeine. Some people may be tapered off these medications after detox, while others may remain on medication for a longer period of time. Naltrexone: blocks codeine’s effects and can help reduce cravings. Suboxone: a combination of buprenorphine and naloxone that can help reduce withdrawal symptoms and cravings and block the effects of codeine. Buprenorphine: helps reduce the intensity of withdrawal symptoms and cravings. Methadone: also helps to reduce withdrawal symptoms and cravings from quitting codeine. Find a recovery program. It is hard to change the habitual and dysfunctional behavior of codeine addiction without support. In addition, as explained above, people who begin to experience withdrawal symptoms find that simply using codeine will alleviate these symptoms. Address the reasons why you started using. Another factor that makes quitting on one’s own difficult is that the person must address the reasons for his or her substance use disorder at some point in his or her recovery. It is very hard to gain this knowledge without guidance and understanding from individuals who either are trained in addiction treatment or who have participated in 12-step groups for many years and remained clean. Learn new habits. Part of recovery is learning how to live in the world again. This process is very difficult to accomplish on one’s own. Recovery is not just about quitting the use of codeine – it involves learning, discovering, relearning how to address old habits, and applying new information. Build a support system. You can greatly reduce your risk of relapse and increase your chance of recovery if you have friends, family, or other people in recovery you can turn to when you experience a craving or a stressful event that makes you want to use. Keep participating in aftercare. Aftercare programs can provide encouragement, support, and accountability that can help you stay sober. You can continue to work through any personal issues in a group or individual setting and discuss any other issues that threaten your recovery. It can be difficult to watch someone who has a codeine use disorder engage in behaviors that are obviously harmful and yet act as if nothing is wrong. Sometimes, people may just want to grab the person and physically shake him or her back into reality. However, if helping someone quit using codeine were that simple, there would be no need for professional treatment programs, and few would struggle with substance use disorders. Coercive approaches are not productive. This includes making demands, creating consequences for not getting treatment, or threatening the person. Confrontation often leads to the person becoming reactive and more secretive. Communicate your concern. Ask questions about his or her behavior. Do not accuse him or her of anything. Tell him or her that you want to help. Explain how this person’s behavior affects you. Only mention facts about his or her behavior. Expect the person to deny that he or she has a problem. Do not be surprised if the person denies even using codeine. Roll with that and ask the person why you are seeing certain types of behaviors. If the person gets extremely angry or hostile, back off. Don’t approach a person who is intoxicated or under the influence of codeine. One of the best times to approach someone is “the morning after” or during a period when he or she is recovering from codeine use. People are typically more open to discussion. Get the person to consider treatment. This may mean attending a 12-step group meeting, going to an addiction specialist for assessment, discussing his or her issue with someone who is in recovery, or any other number of approaches. If possible, offer to attend the initial meeting with this person. Confrontational approaches may be the only alternatives. In a crisis situation, where a person may be endangering himself, herself, or another person, the only alternative may be to confront this person and make demands regarding his or her behavior. Quitting cold turkey has a high relapse potential. The withdrawal process from narcotic medications such as codeine is not physically dangerous. However, people who attempt to use a “cold turkey” approach are increasing the potential for an early relapse. During withdrawal, some individuals may experience severe emotional distress or even become detached from reality (e.g., have hallucinations). 2 These people may be at risk for self-harm (e.g., becoming suicidal) or accidents due to poor judgment. In addition, cravings for codeine are powerful in the early stages of withdrawal. The easiest way to reduce the effects of withdrawal is to begin using again. Physicians at medically supervised detox programs can administer medications to address specific withdrawal symptoms, control cravings, and slowly taper down medications as the person goes through detox from codeine. These programs are often provided through professional substance use disorder treatment programs. If you are interested in learning more about rehab centers for codeine addiction, call 1-888-319-2606 Who Answers? to speak to a recovery support specialist. These trained representatives can help you locate a program in your area that is covered by your insurance and is a good fit for you or your loved one. If you or your loved one is not insured, you can call the Substance Abuse and Mental Health Services Administration’s (SAMHSA) free helpline at 1-800-662-HELP (4357) for information on support groups and low-cost programs in your community.
. Miller, W. R., Forcehimes, A. A., and Zweben, A. (2011). Treating Addiction: A Guide for Professionals. New York: Guilford Press.
. Foote, J., Wilkens, C., Kosanke, N., and Higgs, S. (2014). Beyond Addiction: How Science and Kindness Help People Change. New York: Simon and Schuster.